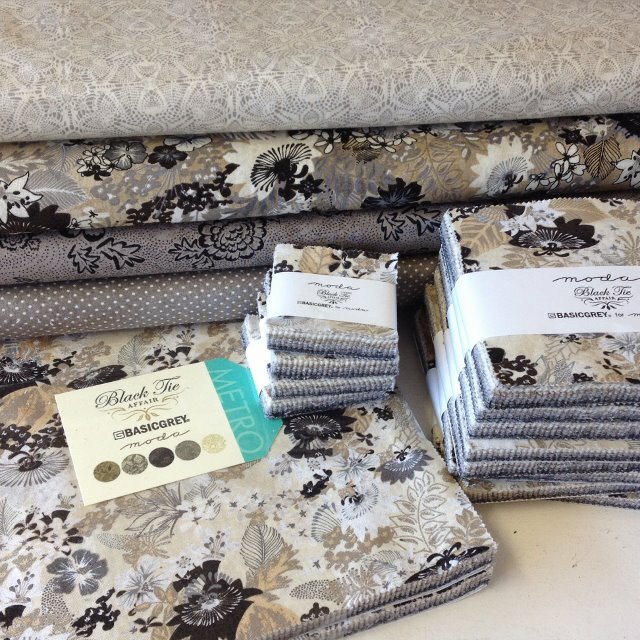 One of the best parts about owning a shop is when lovely customers come in to share the things they have made with our fabrics. 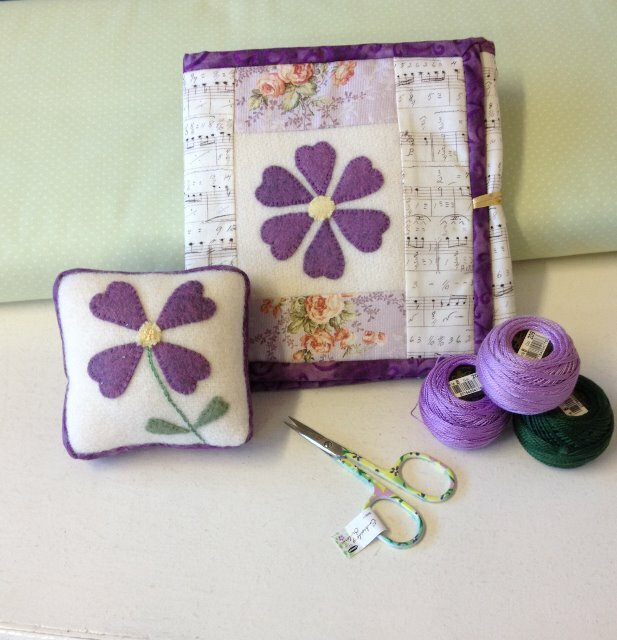 The mini quilt above was made by Helen in a Deb Louie workshop. 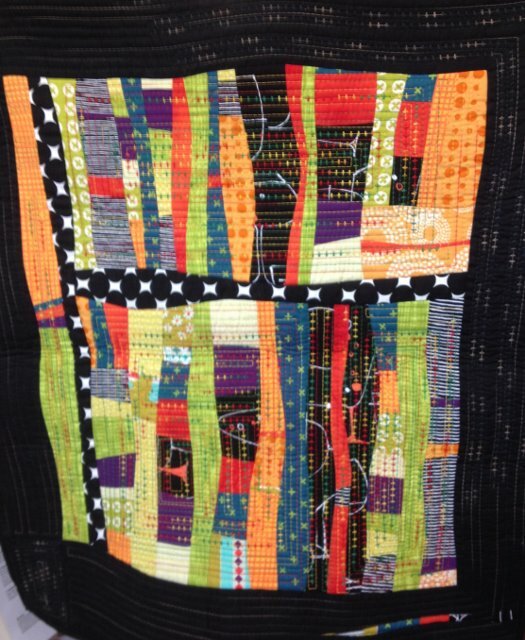 I just wish I could make time to play with the fabric like this. 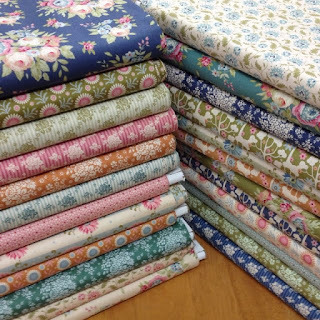 The Tilda quilt, below, was made by Maxine with the fat quarter bundle of fabrics she won from our facebook giveaway. 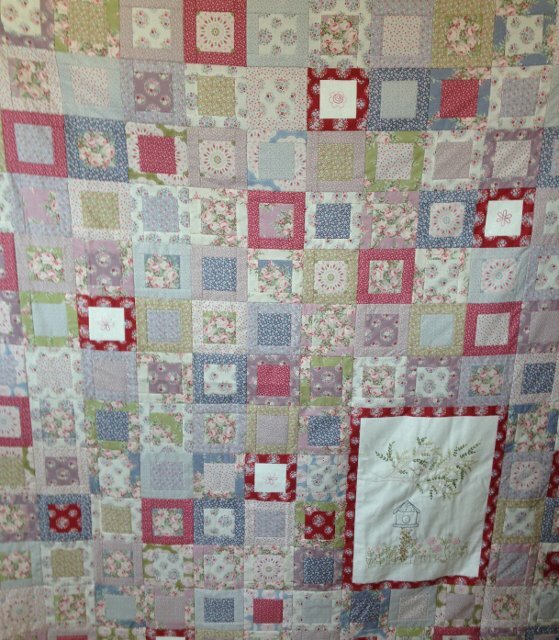 Thanks for bringing your quilts in girls. 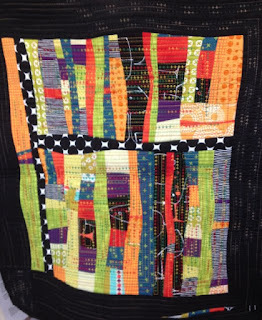 I have been enjoying "the Splendid Sampler" quilt along. 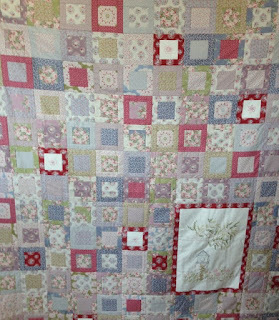 This is my first block for the quilt- centre. The heart block on the left is for my red and white quilt -one of the reasons I am doing this quilt and the block on the right is the practice block. Not sure what I am going to do with this yet. And I made the pincushion from a link from one of the designers. New Tilda fabrics -Pardon my Garden and Spring Diaries. 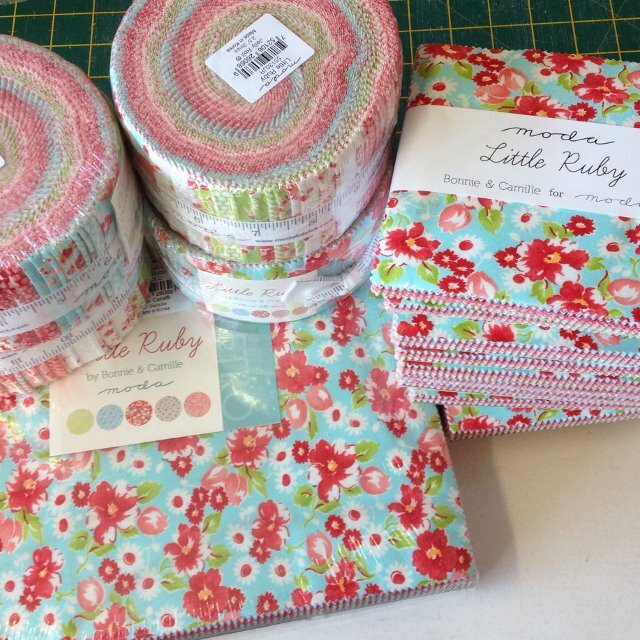 Little Ruby from Bonnie and Camille at Moda. 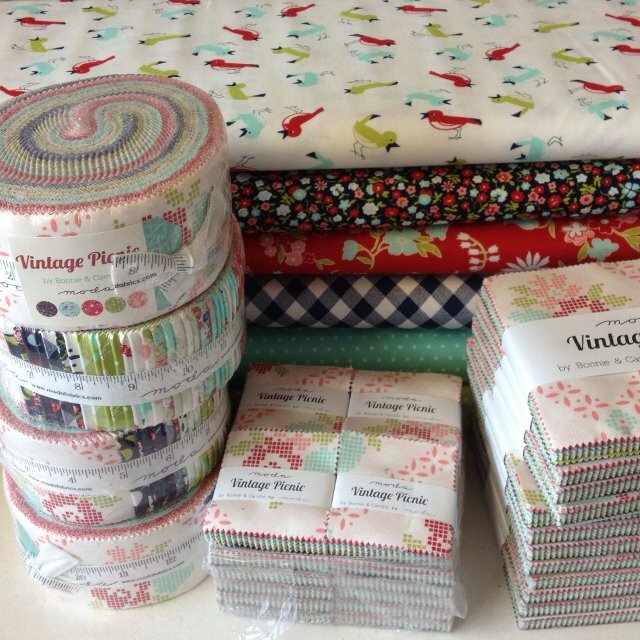 And another Bonnie and Camille range called Vintage Picnic. Much more to come - lots of new fabrics, two or maybe more Splendid Sampler blocks, new quilt sample from the Tilda range and some customer quilts. 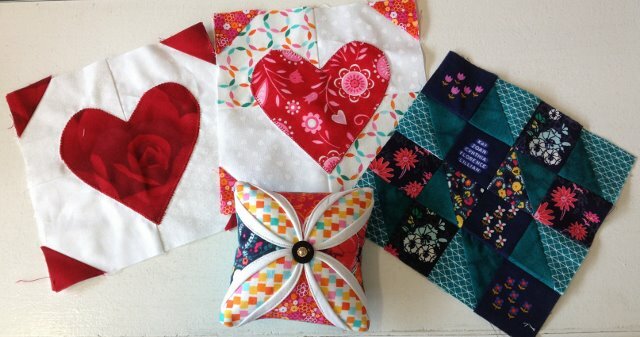 I was part of the Canadian contingent of quilters that recently visited your delightful shop. You were so warm and welcoming to all of us. 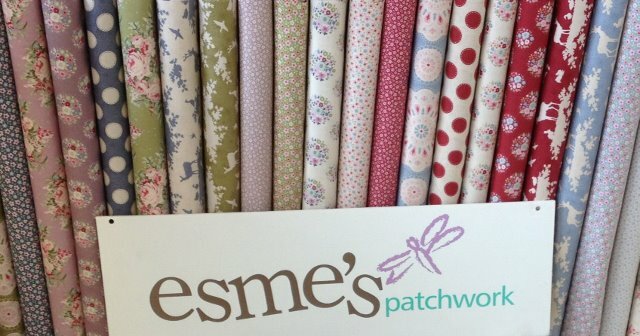 Your friendliness and charm and of course your excellent selection of fabrics , notions and patterns make this a wonderful place to fulfill all out quilting needs. In other words to get our "Fabric Fix"
I mentioned that I was trying to get selvedges for a quilt and you said that you had some at home. You then offered to drop them off at my hotel. I was thrilled to get them and touched by your kindness. Today, imagine my surprise when I met you in a fabric store in Melbourne. It jogged my memory that I wanted to email and thank you.